The U.S. Ambassador to Egypt, Anne W. Patterson and Mr. Walter North, Director of the U.S. Agency for International Development (USAID) along with Mr. William Kopycky, Director of the Library of Congress in Egypt and Jane Smyth from the American Center for Research in Egypt (ARCE) visited the National Archives of Egypt, where they were welcomed by Dar el Kutob’s chairman Dr. Zain Abdel Hady. 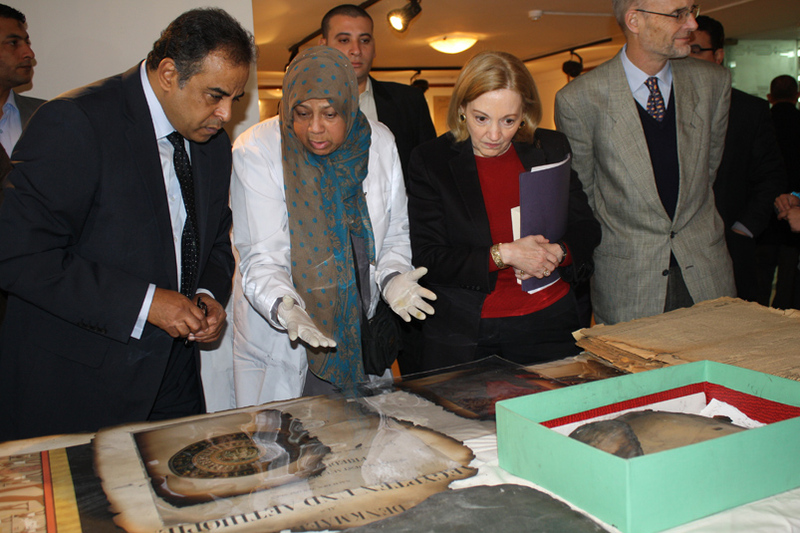 Dr. Abdel Hady led the delegation on a tour of the conservation labs where the books salvaged from the recent tragic fire at the Institut d’Egypte are being restored. The tour also featured a visit to the Digital Archives Center which was established through assistance provided by the U.S. Library of Congress. 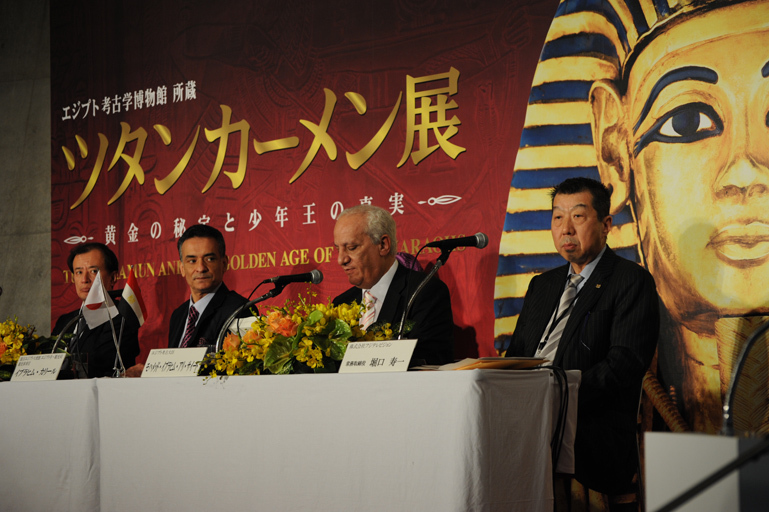 The U.S. Agency for International Development and the American Center for Research in Egypt promptly responded to urgent needs expressed by the Egyptian Ministry of Culture’s Dar el Kutob for assistance. USAID provided the funding for critical equipment and supplies to carry out this critical conservation mission. The U.S. Library of Congress will be offering technical assistance to help preserve the books and catalogue them once they have been salvaged. The Library of Congress has also been working closely with Dar el Kutob on the World Digital Library project to make rare cultural treasures more accessible to a global audience via the Internet. The Institut d’Egypte was founded by Napoleon Bonaparte in 1798 and became a center for research and scholarship about Egypt, producing the well-known “Description of Egypt.” It was recognized as the oldest functioning academy of sciences and arts outside Europe. The collection consists of rare books and manuscripts, some of which date back to the 14th century. 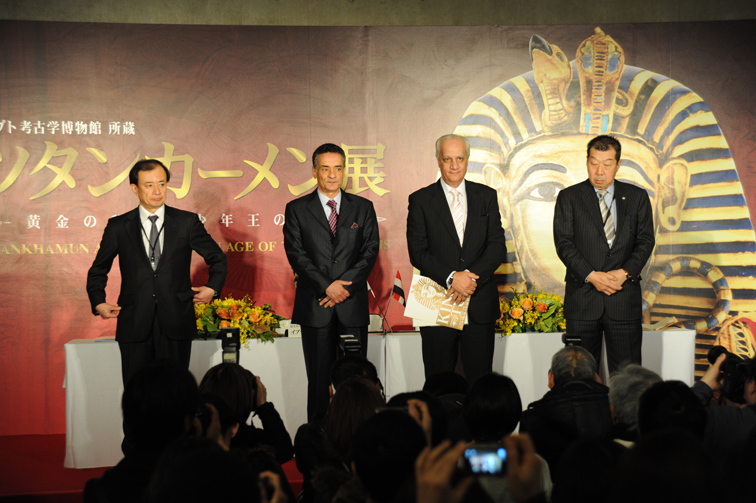 Dr. Mohamed Ibrahhim, Minister State of Antiquities, inviting the people of Japan to visit Egypt and demanding the Japanese government to lift the ban on Japanese nationals travel to Egypt, during the international press conference which was held at Tampozan Gallery in Osaka,Japan. 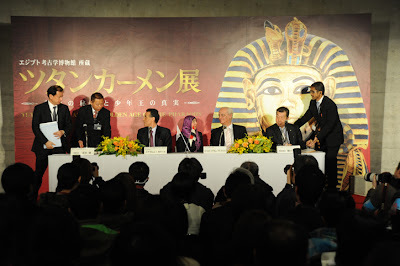 Dr. Ibrahim wanted to send a message that Egypt is safe and welcoming visitors from all over the world. Dr. Mohamed Ibrahim’s first official visit to Japan of an Egyptian cabinet member since the revolution and beside the main event which is the “Tutankhamon and the Golden Age of the Pharaohs” exhibition, The Egyptian minister announced that EgyptAir flights to/from Japan will start again as of early April as a positive step from the Egyptian government to encourage Japanese tourists to visit Egypt. Dr. Mohamed Ibrahim also plans to discuss continuing the procedures of the Japanese grant of 300 million dollars offered by JICA (Japan International Cooperation Agency) to complete the construction of the Grand Egyptian Museum overlooking Giza plateau. 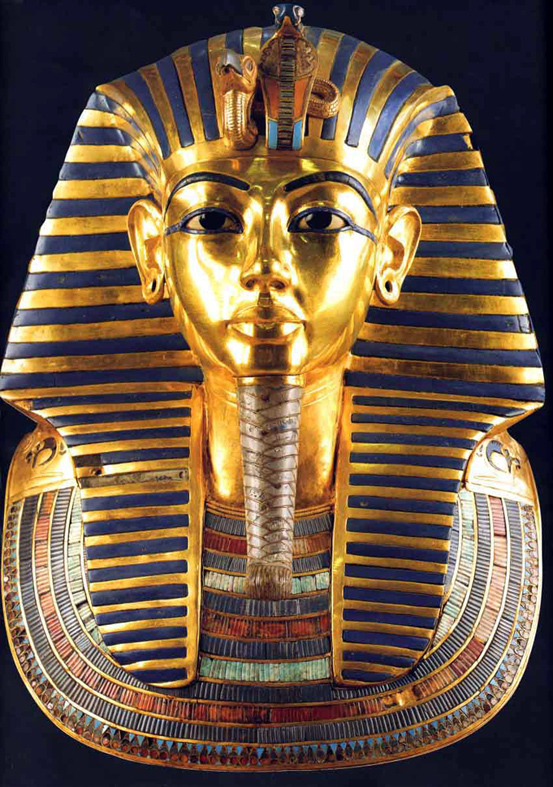 Adel Abd Elsatar, head of the Museums Department, said that the exhibition includes 122 artefacts carefully selected from the Egyptian Museum in Tahrir, 50 of them from the collection of King Tutankhamon after returning 9 objects last months from King tut collection to Egypt. The exhibits include the golden coffin of King Tutankhamon, boxes engraved with battle fields and hunting sceneries, various pieces of jewellery inlaid with semi-precious stones, battle kits such as swords and daggers, as well as Tutankhamon’s throne, and a golden shield which was designed to protect the king during and after his death. Since its beginning in 2002, the exhibition has travelled to Switzerland, Germany, United States (3 years) , France, England, the United States again and Australia.